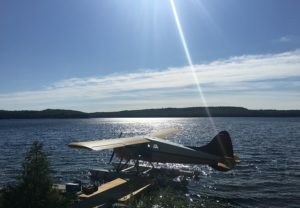 Century Lodge on Eagle Lake. 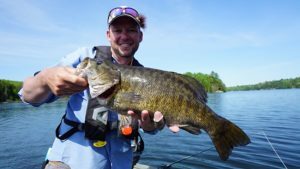 Since I was a young boy, smallmouth bass have been at the top of my list of freshwater fish to catch. I loved casting Hula Poppers, Rebel Poppers and even Rapalas to entice violent surface strikes from smallmouth. 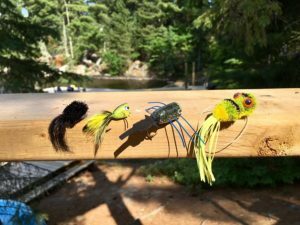 Today as a fly fisher, though I love trout fishing, my true passion lies with smallmouth bass….especially on topwater poppers! 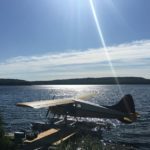 Always on the search for new locations that possess great bass fishing, I recently learned about Eagle Lake in Northwestern Ontario. 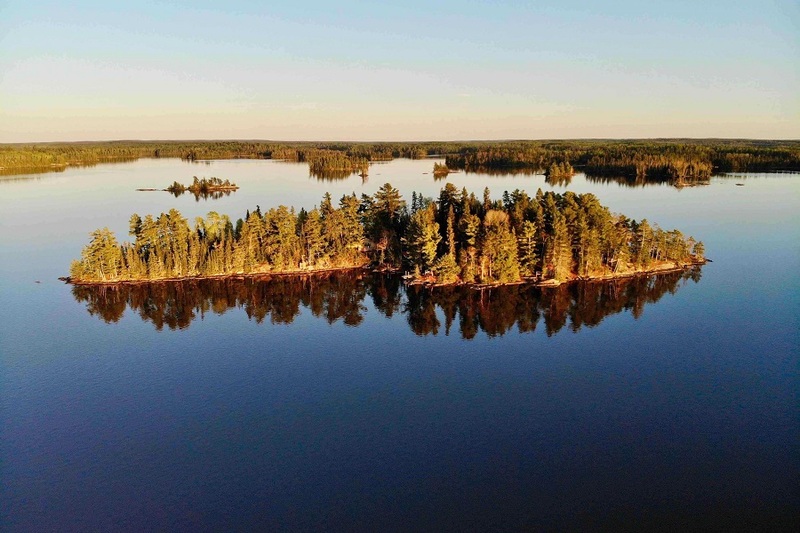 This massive lake, over 68,000 acres, is known for the size and quantity of musky. However, the smallmouth bass, especially in the southern part of the lake, are equally large and in good numbers. 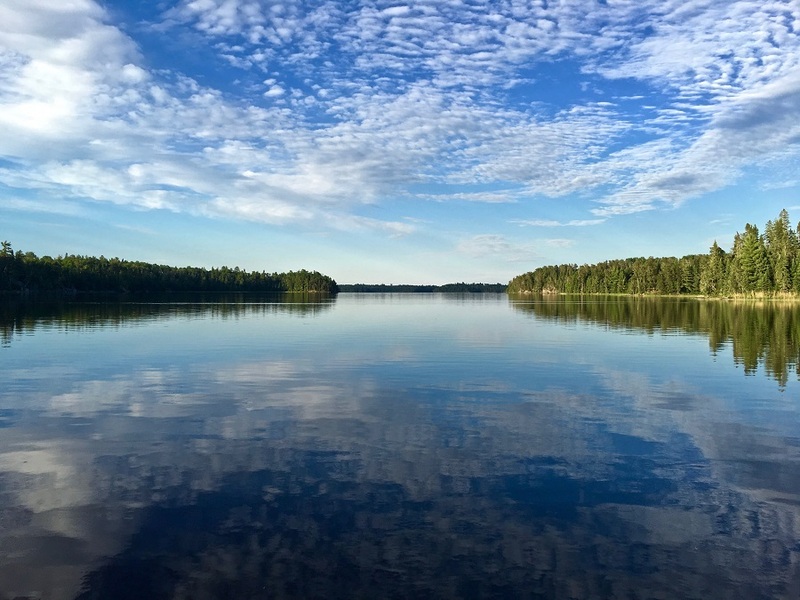 This region of the lake is blessed with numerous islands, bays, rocky shoals and most importantly, has protected waters from the wind. 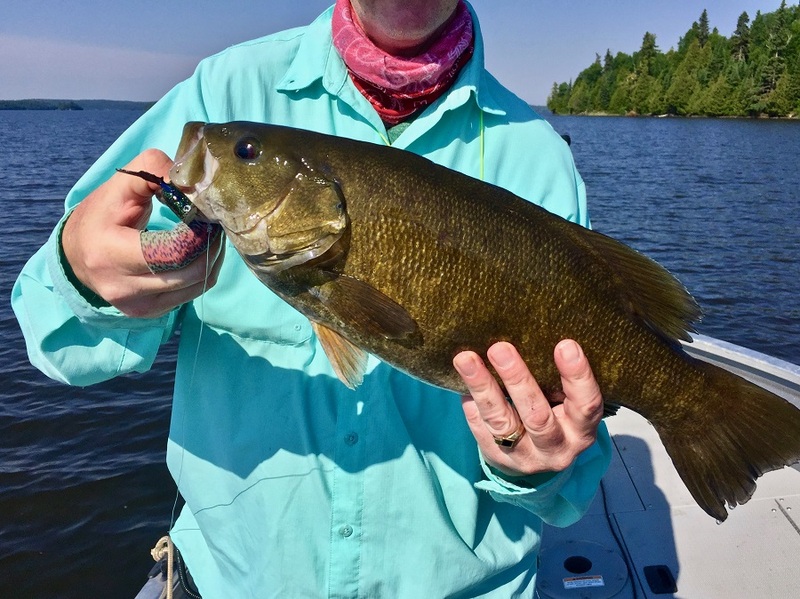 There is only one lodge in the southern part of the lake, Century Lodge, and I was thrilled when owner Randy Tyran and his family connected with me to come try the topwater smallmouth fishing at their island lodge. They did not have to ask twice! After years of using poppers there are some that have truly proven themselves to be effective. First off, a bit about the shape of poppers and why this factor is so important. An effective popper must have a good and deep concave face. I find a small (size 8) popper with a concave face is the best. 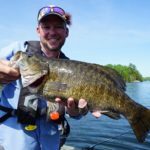 Sure there are times when a big popper works well but overall I have found smaller ones are more effective for all sizes of smallmouth. Combined with this shape is a small tail, usually made of feathers and calf tail. It is important to have rubber legs, short and stiff, projecting from the sides. Even in stillwater, these rubber legs will visually vibrate in the surface film and excite bass. I’m not fond of poppers with smooth fronts, such as a Sneaky Pete, they don’t move much water, and this lack of water commotion, just doesn’t lure bass up. In terms of color, I love yellow/orange combinations, green with white and of course black. Black seems to be universal shade that works well on overcast days or towards nightfall when silhouette is critical. Why do bass take poppers? I think that they represent a lot of prey items to bass. From a small frog to an insect, something that moves and seems to be trying to get away – rings the dinner bell for bass! In terms of technique, the key is to cast the fly near likely looking structure and then let it sit. I mean sit. Often the fly will be hit 15-20 seconds after it has landed. It’s hard to avoid the temptation to automatically retrieve or pop the fly. How often have you turned to talk to a friend and then heard a splash as you fly was taken? That is because you allowed it to sit and let the bass look it over. When retrieving the popper, make sure it truly splashes and gurgles in the surface film. After a few pops, let it stay motionless – let the splash ring dissipate. You will be amazed how often you will see a big bass slowly come to the surface to inhale your offering. I like to use 8-10-foot leaders of ten-pound (1x-0x) mono. 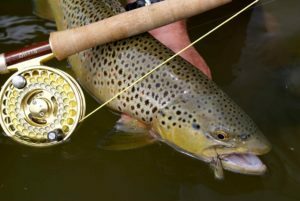 Generally I do not use a tapered leader as I find the weight of the fly combined with using a good quality bass fly line will make it easy to cast poppers. This is what I liked at Century Lodge. I caught lots and lots of big aggressive bass on poppers. 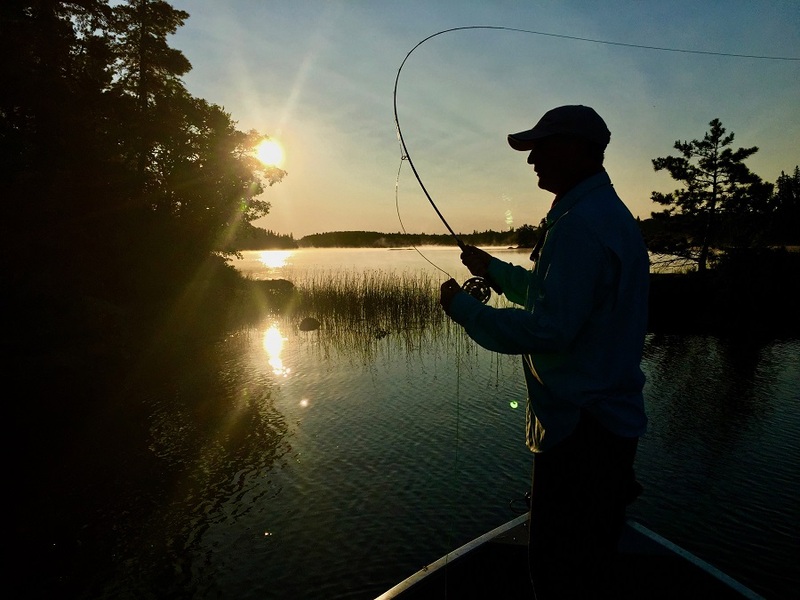 To me this type of fly fishing is total nirvana and why, during my four day stay, I came to truly love Eagle Lake. Lots of abundant structure, both clear and stained waters, and the bass were virtually everywhere we looked. Randy’s favorite structure is the combination of shoal with pencil weeds surrounded by deep water – total fish magnets and total fun! To be frank, the fishing was so good we could have easily created 2-3 TV shows with all the bass we caught. That is even without factoring in the many musky that followed my poppers to the boat! 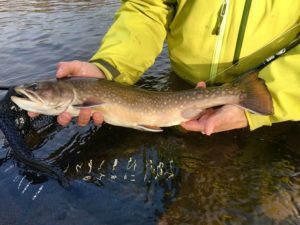 For those who want a remote fishing experience without a fly-in, then coming to Century Lodge is ideal. It has clean and comfortable cabins, great food and of course access to some world-class fishing. This is the type of lodge you can go with friends or family and truly enjoy the splendors of nature and combine it with outstanding fishing. 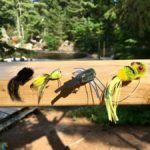 If you’re a topwater bass fishing fanatic like me, then Century Lodge in Northwestern Ontario is a definite “must-go” location!